VIDEO: Half Moon Island was our first landing. 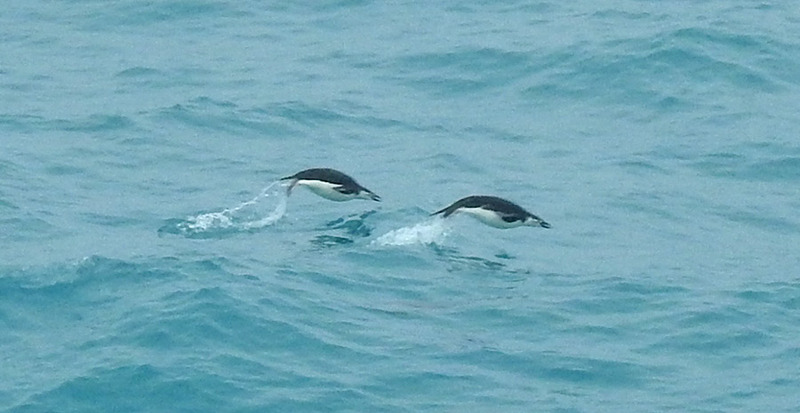 Here, we saw Chinstrap Penguins. There were many young. Our ship, Akademik Sergey Vavilov, is anchored while we go ashore at Half Moon Island. 14 February 2018. 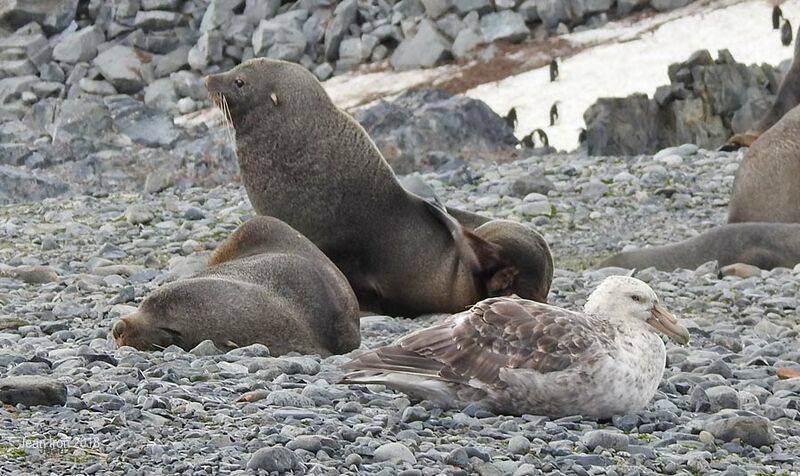 Antarctic Fur Seals were hauled out on the beaches with a Southern Giant Petrel. Most seals were resting. 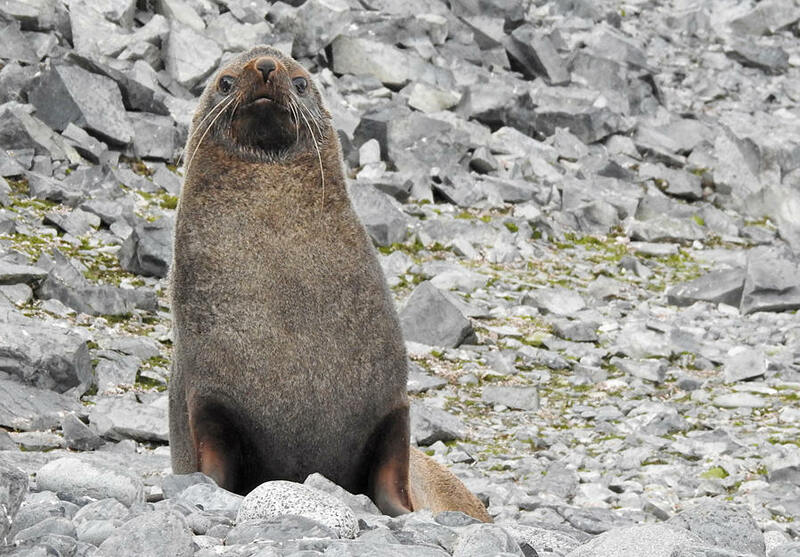 Always be vigilant while walking among Antarctic Fur Seals as one can suddenly decide to charge like the one in the video. Pete Read and I held up our hiking poles. He stopped immediately, then went after the others. Half Moon Island on 14 February 2018. 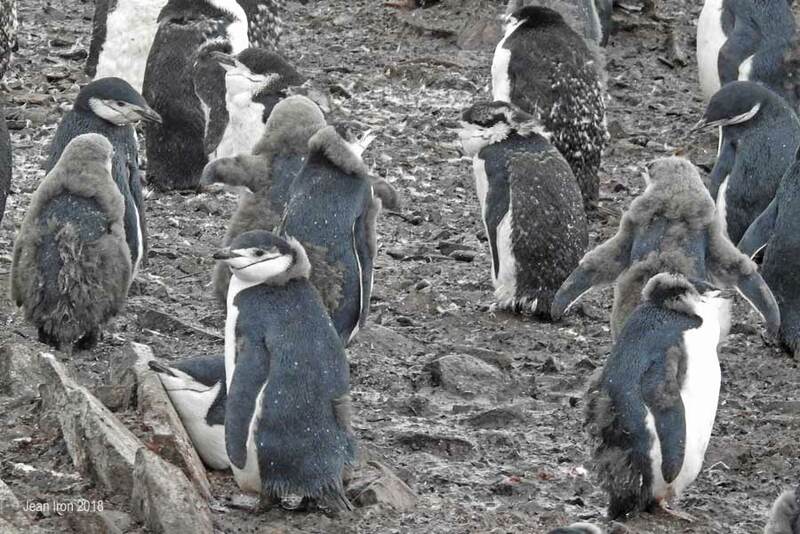 Molting is necessary for young and adults before the winter sets in. They need a fresh new waterproof coat. Half Moon Island in Antarctica on 14 February 2018. 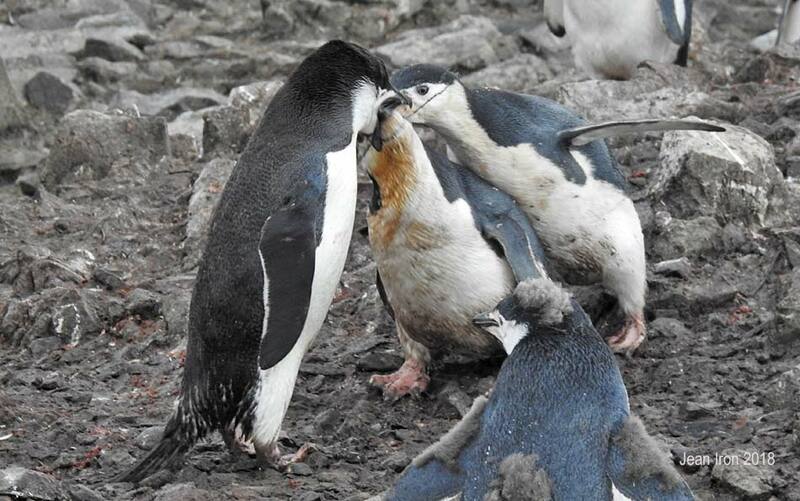 Chinstrap Penguins lay two eggs. This adult is feeding two young at the same time - it must be a challenge. Half Moon Island on 14 February 2018. 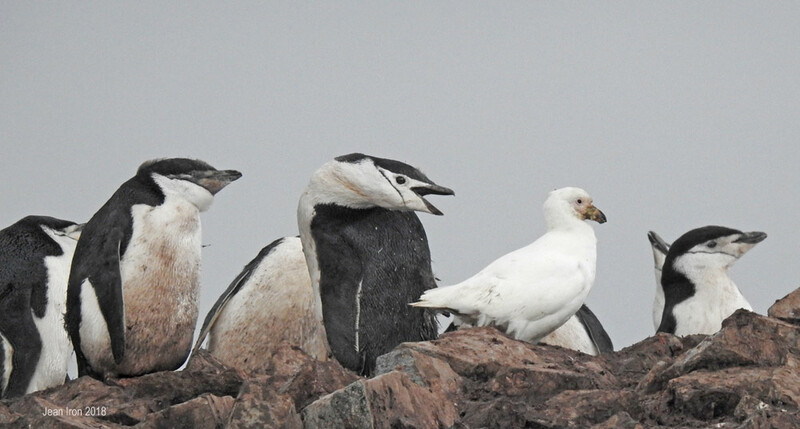 Snowy Sheathbills were in every penguin colony, scavenging food. Half Moon Island on 14 February 2018. End of page 2. Please go to page 3.